1. Peel the bananas and keep aside. Prepare a mixture of water, turmeric powder and salt. Cut slices of banana in this mixture. It will prevent the bananas to turn black and also will give nice yellow colour. Keep bananas soaked in this mixture for 5 -10 min. Drain the water and dry the chips. 2. 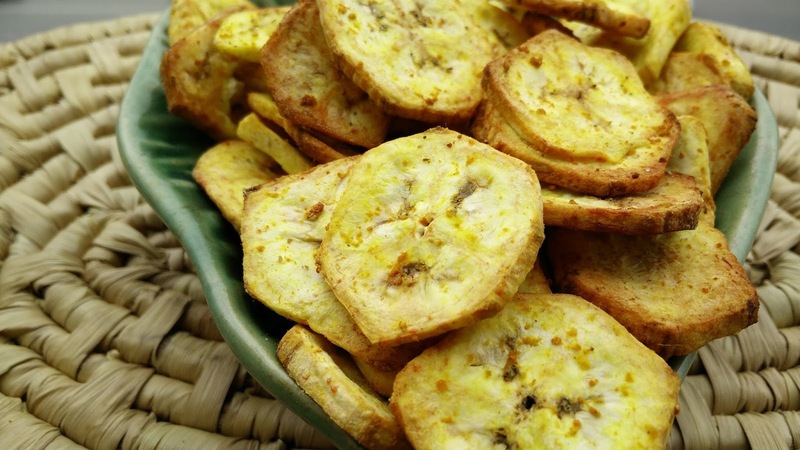 Apply little oil on chips to avoid sticking of banana chips in Airfryer. Preheat the air fryer at 180 degrees for 5 min. Airfry the chips for 15 min at 180 degrees. Add salt and chat masala. 3. Store it in airtight jar and serve immediately. wow! my favorite Banana chips. Thank's for sharing. That looks delicious. The only word is yum!